Many people think of a private investigator as a gumshoe searching for clues like Sherlock Holmes. In reality, there are a lot of reasons both professional and personal to hire a private investigator. A professional fraud investigator will have extensive experience in surveillance, counter-surveillance, and electronic monitoring. When you think someone has betrayed your trust, a fraud investigator may be just what you need. Here are 5 reasons why you may need to consider hiring one. Issues involving child custody are some of the most difficult cases in our legal system. These cases often boil down to “he said/she said” situations, that can be complicated, emotional, and very messy. In these types of cases, a private investigator can be brought in to gather sensitive information that can help the court more accurately render its decision. Divorces are often painful and volatile, with each side slinging insults and accusations at the other. There’s typically money involved, along with physical assets to divide up, and child custody to negotiate. This is a situation where it can be vital for one or both sides to invest in an investigative firm to uncover and collect evidence in an effort to shine a light on the facts of the case. In a perfect world, business partners would never steal from or cheat fellow members of the company. Unfortunately, that’s not the world we live in. Not everyone involved in business dealings is moral or ethical. Money and assets are stolen or misappropriated each and every day, in every corner of the nation. An investigator firm should be retained to help prove if a financial crime has been committed, as well as the extent of the damages. Business matters are far too complex to not engage the services a private investigator in getting to the bottom of any wrongdoings. Another way investigative firms can aid in business is to look into the backgrounds of potential business partnerships. 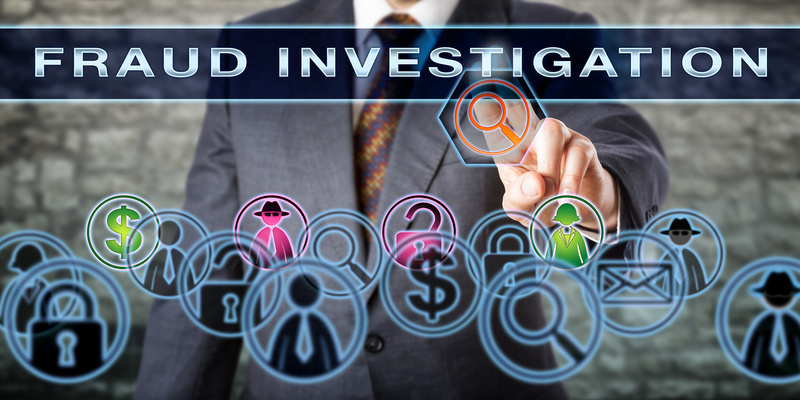 A professional investigator will be skilled in looking into a person’s, or company’s, past to uncover questionable behavior or business practices. This can save your company plenty of headaches down the road. Nobody wants to go to court or have to engage in complex and expensive legal battles. Yet lawsuits and litigation are a painful reality of life. 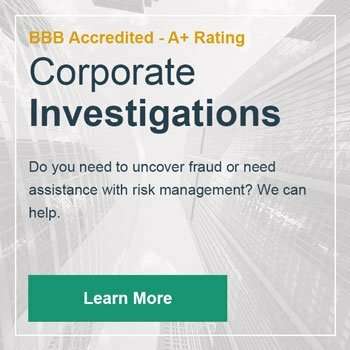 Investigative firms are a resource available to make these unfortunate experiences run a little smoother. We recommend hiring the best investigative firm that you can afford. While this might seem like an unnecessary expense, it can prove to be one of the best investments you can make. A good private investigator has the skills to find information that might otherwise be overlooked, quickly. They can save you time and money, and produce far better and reliable results than you could on your own. Contact us with any and all questions you might have regarding our investigative services.